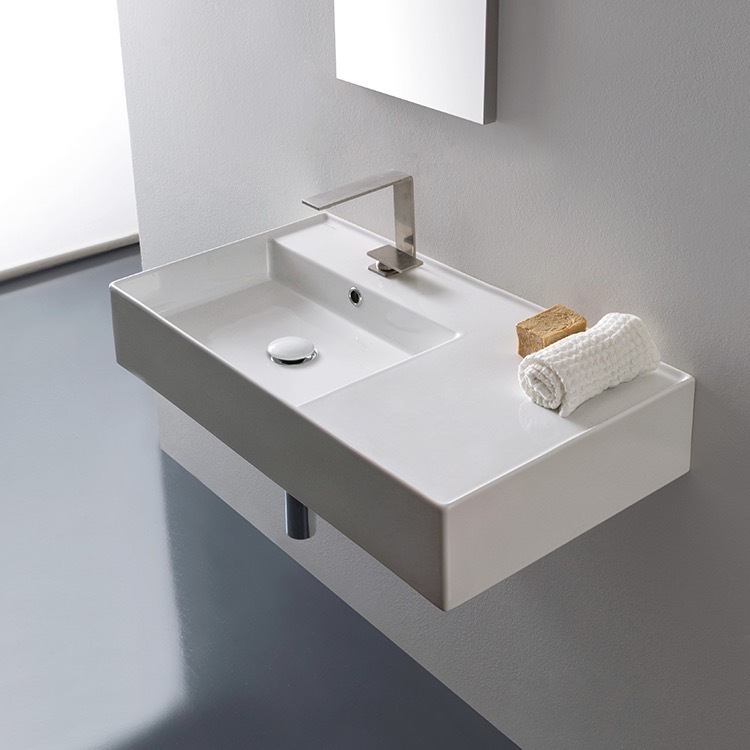 Perfect for the modern or contemporary bathroom atmosphere, this 32 inch bathroom sink is made from built-to-last white ceramic. It comes in the no hole, one hole, or three hole options and can be either wall mounted or vessel installation. 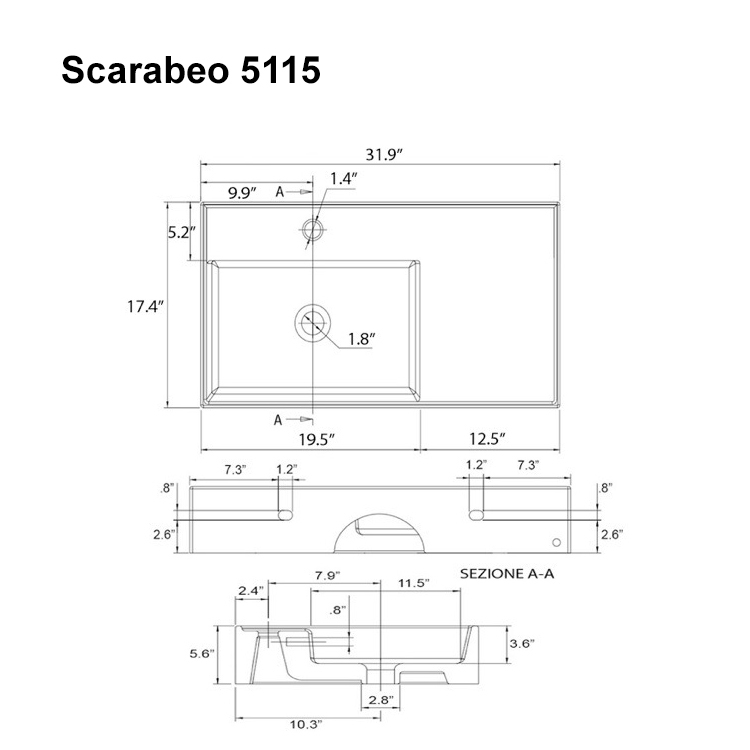 It was made in Italy by Scarabeo as part of their Teorema 2.0 collection.